We are both blessed and befuddled to be part of the growing accessibility of knowledge. What once must have been sought out in the corners of obscurity is now constantly at our fingertips, and our incessant thirst for information has been quenched by a rush of new devices plugged into the outer-reaches of cyberspace. The advancement of modern technology is, by all measures, the new frontier of the human existence. Fifteen years ago it was seen as remarkable that anyone with a home computer could plug into a worldwide network to exchange ideas and communication; now, even those realities seem primitive, and with the advent of tablets and smart phones people can now swap data while constantly on the move, never losing sight of their busy lives even while the Internet stretches their conscious focus. Not everyone occupies that headspace proactively. There are rhymes and reasons and critical benefits that come with most new inventions, but the fringe consequences can be glaring on our attention spans. When one walks into a coffee shop nowadays, for example, they are not frequently filled with the hurried voices of thinkers conversing in passed interactions; instead, we get little more than sights of people with their heads down while plugged into their electronic devices, many of whom have emerged from solitude to do homework, seek Wi-Fi hotspots and exchange momentary chuckles on the latest meme shared through social media. Against the core intents of such gadgets, they have generally reduced many of us to anti-social shells who prefer to engage through a computer screen rather than face-to-face. I considered that a useful commodity in the days of paralyzing social anxiety. After accepting the inevitability of stumbling over words, losing focus on thoughts and having little to contribute to certain conversations other than invites to awkward gazes, a conversation on the internet meant I didn’t have to deal with the frontal implications of oratorical embarrassment. A glaring speech impediment, I reckon, didn’t help matters; nor did it help living in a social structure where peers and teenage classmates were frequently judgmental and dismissive, especially towards anyone that might have come from different backgrounds or marched to the beat of more obscure drummers. I do not care to overstate points that have already been made about my experiences as a young introvert, nor do I desire to be critical of the negative extremes that cellphone usage has placed upon the populace. The reality, as a moviegoer, is that these continuous breakthroughs have shattered the barriers that exist between us and the theater screen, giving us newfound opportunities to look deeper into the medium and discover the sorts of buried treasures that would ordinarily be missed. That has been an act of progress that we have followed through slow increments ever since the advent of home theater systems, but in 2015 it has reached the summit of its possibility, and few who own a piece of current technology can be denied the conduit to new encounters. Who does this affect more? The new talents have the most to gain, I suspect. In the days when the motion picture was still fresh as an art form, marginal voices could scarcely be heard beyond critic circles and college film societies. Only the elitist or privileged types (usually those who would live in bigger cities) would ever get a chance to see a film made by Kurosawa or Bergman, and even fewer could identify the influence of Goddard or Fellini on their mainstream counterparts. They were silent architects in a show of more lavish fanfare, cast off in the corners because it wasn’t marketable to have them taking precious space away from conventional offerings. Home video technology eventually gave rise to the revolution of obscure classics being readily available for public consumption, but even then the search proved difficult when video rental services – another emerging business – only provided customers with copies of the studio hits. Knowing that such films even existed was significant to the battle, and to seek them out proved, even by those standards, to be a very daunting excursion. A notable shift in that sentiment occurred towards the last part of the 20th century, when DVD technology went wide and gave movie studios the incentive to restore and release productions buried in the vaults. Those that were not part of any major distribution deals had, perhaps, the most to lose; without the backing of financial investors pushing for their release, what was to become of them? That thought process thankfully inspired the rise of various minor production companies, who would buy up properties either in the public domain or in moratorium limbo. Kino, for instance, acquired and restored a plethora of silent films that had long been out of circulation – most of them were relics left over from Germanic Expressionism. The most notable of those off-shoots was the Criterion Collection, which proved so thorough and definitive that their library has amassed some 700-plus titles over the course of 15 years, and shows no signs of slowing down. For any film fan that is eager to acquire some piece of knowledge about how cinematic sensibilities came to fruition on the outskirts of Hollywood, no other collection offers such a diverse assortment of essential benchmarks. Advancements in accessibility like that seem almost trivial by today’s measure. With the advent of streaming services like Netflix and Hulu, such titles are not just available for purchase, but ready to be seen at a moment’s notice. The internet, a playground for information, is no longer a medium under some level of bandwidth control; people with respectable connections through cable or DSL modems can literally have a film shown to them on HD with no need for a physical disc, and Blu-ray players, game systems and flat panel televisions come equipped with built-in Wi-Fi and internet-ready applications. There is, literally, no limit to what we can watch, when we can watch it, or how. There are, perhaps, long-term downsides to the format revolution – some of them obvious, others questionable, and some founded under the ruse of conspiracy theories. The most glaring of those arguments comes down to a principal in how filmmakers might approach the way they make movies; if there is little chance for an endeavor to go to a theater screen because it will wind up streaming online first, could this affect the way at which some might look at a production’s sense of details? One may argue that such circumstances are already occurring. The joy of going to the local cinema has little to do with specific pictures and almost everything to do with the overpowering experience of a screening room. When you are in the middle of a dark row of seats, turned up towards the light from a projector, you are experiencing something beyond the normal facet of consciousness. There are no distractions, no urges to be elsewhere; it is just us and the images, locked in an embrace of cerebral exchanges for two constant hours. That prospect often dictates how studio heads (or independent filmmakers, for that matter) approach production details. When eyes are glued to a movie screen for so long, isn’t it a given that some of them might, say, notice flaws or bloopers? Can they not detect if a fact gets overlooked, or a line of dialogue is flubbed? The advent of On-Demand viewing – still in the newborn stage, really – has given rise to opposing standards. That is not to say others made outside of the mind of theatrical presentation are of lesser value; it is merely a reminder that in all things, we can only accept a filmic endeavor at the level its creators intend, instead of holding them up to standards beyond their reasoning. A viewer of a horror film, for instance, would not instinctively compare it to a grandiose studio epic like “Avatar,” because that’s nonsensical. While it is clear as glass that a movie like “Redwood Highway” might be made with a primary intention of being seen in the comforts of home viewing as opposed to the more focused environment of a movie theater, does that have to be a detriment? Not at all. But I fear that some, alas, will not be as inviting of the concept. Eventually, this could mean that more human stories, which require less pomp and circumstance, might be pushed to the margins of art-house cinemas and exclusive online viewing while the big budgeted blockbusters possess the minds of traditional moviegoers. Nothing beats a movie theater in terms of its raw capabilities, but is the industry inviting hostile takeovers of scrupulous sensationalists by playing up their potential monopoly? Isn’t that, furthermore, what inspired the creative revolutions of the late 50s and 60s, and the boom of French New Wave? On the other hand, there are long term benefits to increased availability of films to viewers, especially those who, like me, absorb at a rate far more consistent than how theaters change lineups. Last year, many of my new reviews were for films that were not actually available in local theaters; in earlier times, one would have had to wait for either theatrical expansion – which was rare unless a movie caught on in a big way, mind you – or until studios were willing to send out screening copies for awards consideration (which only benefitted members of the press). That was taxing. One of my most anticipated undertakings on 2014 was the dual release of Lars von Trier’s “Nymphomaniac” pictures, which premiered on-demand on Amazon several weeks prior to reaching a local cinema. Ditto to “Filth,” a nominal British undertaking that might have been overlooked had it not been made available for streaming on the internet. A movie critic who is possessed by the notion of being comprehensive with the latest film releases will find such services at their disposal to be lucrative. As of this writing, I currently own 527 titles outright on the Vudu system, and will likely increase that number as other titles are gradually added to their rewarding Disc-to-Digital service (a useful tool which allows physical owners of certain films to gain digital copies for a small fee). Conventional wisdom is that indulging in these advantages has contributed to the demise of precious rituals in film viewing culture, a conceit that dates back to when film societies went extinct because of the emergence of home video. That thought process is troubling. While it is fair to say that niche viewing audiences hold prized possessions in high esteem (even people who pride themselves on collecting Criterion editions of films are of a different class than, say, those that simply watch them through the Hulu service), it is a disservice to filmmakers to hold their art back from audiences that could elevate them beyond obscurity. We are starved for new ideas, different perspectives and offbeat undertakings. If theater chains continuously hold us back from the emerging faces of independent film, then the revolution of new formats has been their salvation. Would a director like Guillermo del Toro have found a stride in the mainstream if his more obscure earlier films had been made before the internet could spread enthusiastic word of mouth? If routines must be disrupted to change the face of the enterprise for a more inspired cause, then it’s a concept we must face with optimism. I am an evolving champion of the way the industry has embraced the internet in its distribution of film. On an average week of viewing around a dozen films, at least half of them are done via a streaming service; the other half is split evenly between Blu-ray, DVD and actual theatrical ventures. With the right internet connection and the most dependable electronics, we have reached the platform of seamless viewing experiences, where quality differences between formats are virtually nonexistent. I have yet to effective graduate to the level of being comfortable with viewing movies on tablets or cellphones (a screen that small does, I feel, ultimately violate the prowess of a moviegoeing experience), that is not to say I disapprove of having the option. There may come a day where I am stuck on the road on a bus somewhere when I have to crunch a viewing in of something important for the purpose of review, and one can’t deny the attractiveness of having those possibilities at the click of a button. Which begs the question: what more is there to conquer, and how might that affect the approach that filmmakers, theater owners and major film studios take in staying competitive against the influx of possible new mediums? 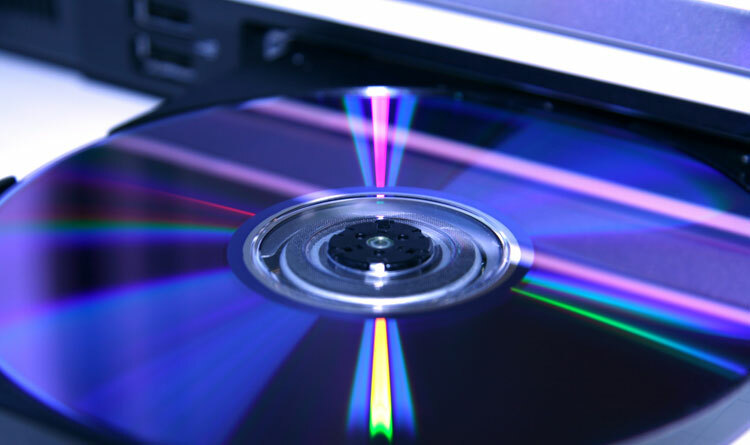 We may, in fact, be living in the generation where even digital viewing discs may become completely obsolete, and physical formats exercised completely as more and more distribution goes to online services. Even now, others continue to emerge and offer viewers new choices (one of my favorite recent findings is Shudder, a pay service that allows you to stream films on demand like Netflix, except the catalog is made entirely up of horror films, both famous and obscure). There are no video store chains left, and niche markets keep independently-owned ones around, essentially, for the novelty factor; virtually 90 percent of them are either driven by a vast collection of film memorabilia on display, or they employ those gifted film historians who can explain the difference between the original cut of “Star Wars” as opposed to most of the versions that are readily available online, which contain many of Lucas’ “special edition” edits. There continues to be a pragmatic need for the old way for a variety of reasons. It’s fun to connect with others and discuss film, and teach one another about something they observe. A movie theater, even though frequently occupied by senseless endeavors, is irreplaceable as a stop for eager eyes. But to celebrate the cinema is to also be willing to venture into the hidden corners, old and new. So much of that is forgotten in the embrace of traditional technologies because the masses are more interested in the here and now, and the big and loud. New technology, incentives and services have removed the barriers against that just as much as they have made popular films into sensory overloads. We live in the flourishing embrace of this reality, and for the mind constantly starved for the greatest details buried in the most peripheral corners of awareness, this is, without a doubt, the greatest time to be an avid film buff.